Beautiful work Mandro. Just as good as your other builds. Thank you breaktru, they are getting easier thanks to all the info I get from your forum. I'd say you're getting this stuff down! Very nice work! 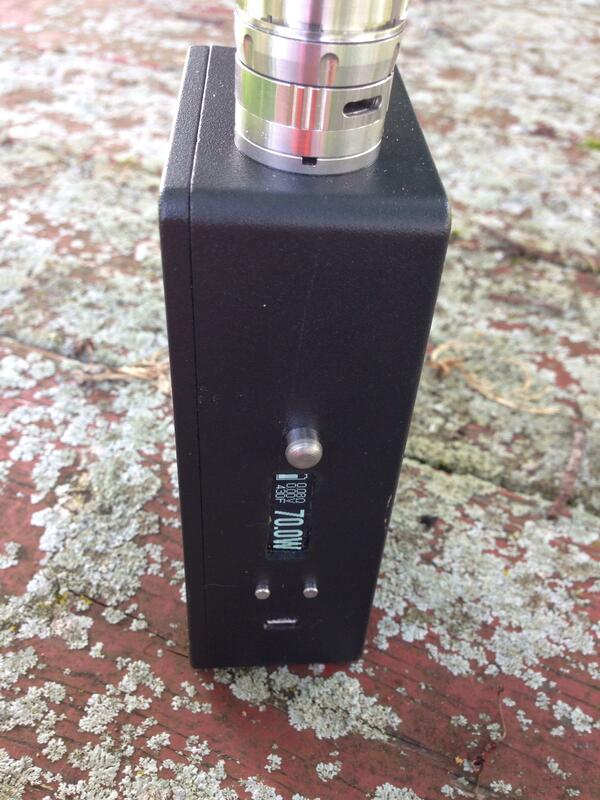 Thanks Littlefeather, I found the DNA200 easier to install than the other DNA boards. I allowed myself a bit of space with this one but I think that I'll be able to make my next one a little smaller. It's a 1400mah. Just about get a full day out of it. The back panel did not come out too good but I put that down to the cheapo printer. It was too wide by 5mm and a hair too long. I just dremelled it down a bit and it wedges in there. The screen did need lowering as I had to bend it back on itself twice to line it up without encroaching on the fire button. Thanks VapingBad, this post inspired me to try my first TC build on a genisis atty. 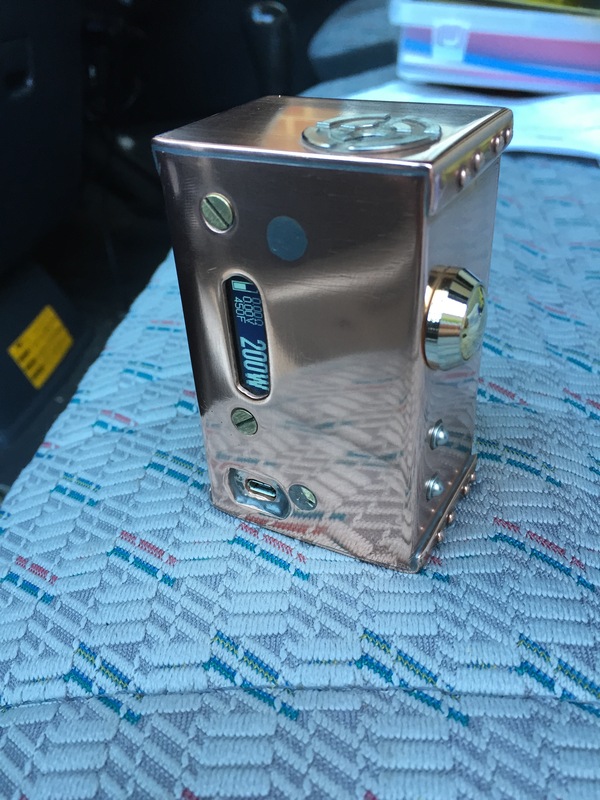 I built my rocket atty with nickel, it was a lot easier than I expected, and it's vaping fantastically. 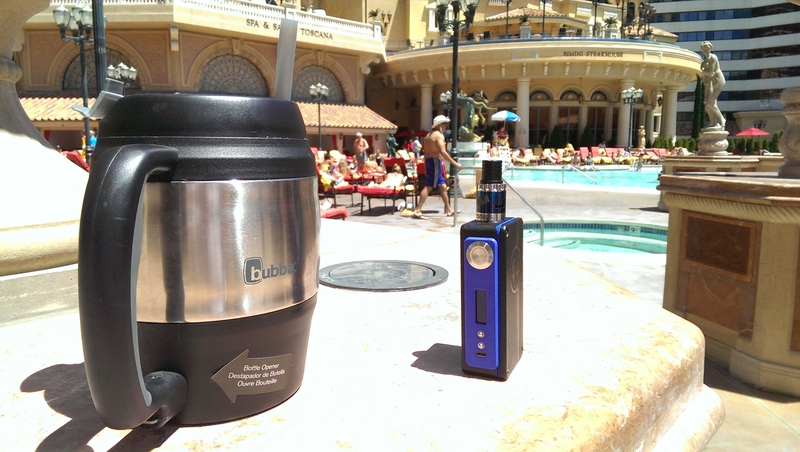 I'm only vaping at 14watts but with the DNA200 it's got such a punch. Here is mine. 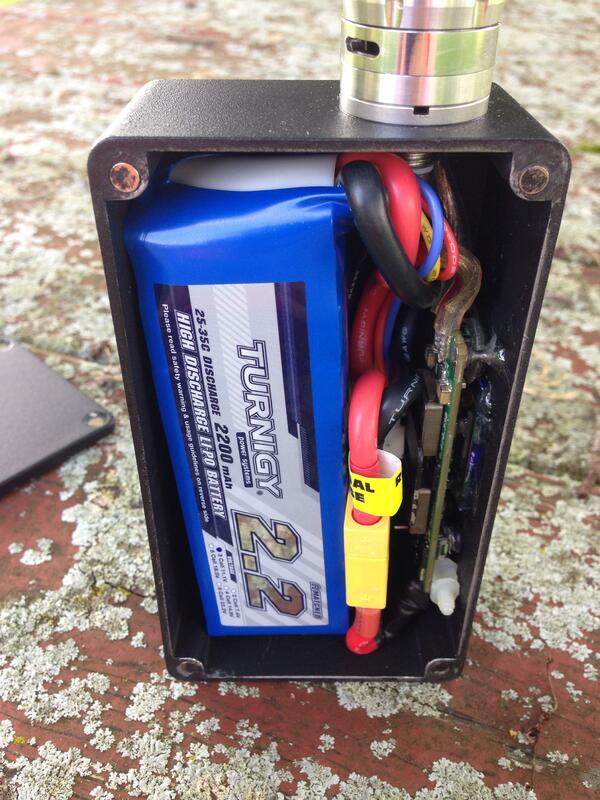 Built in a 1590N1 with a 2200mAh Lipo. Nice mods! I'm hoping I haven't gotten too ambitious with my plans being my 200 showed up today, it all just got real! This is my new baby, and I'm absolutely loving it. The pictures aren't nearly the quality the device deserves but I couldn't wait any longer to share it. I'm so impressed with the device and the chip, it's already so impressive how well developed the chip, firmware, and escribe software is.